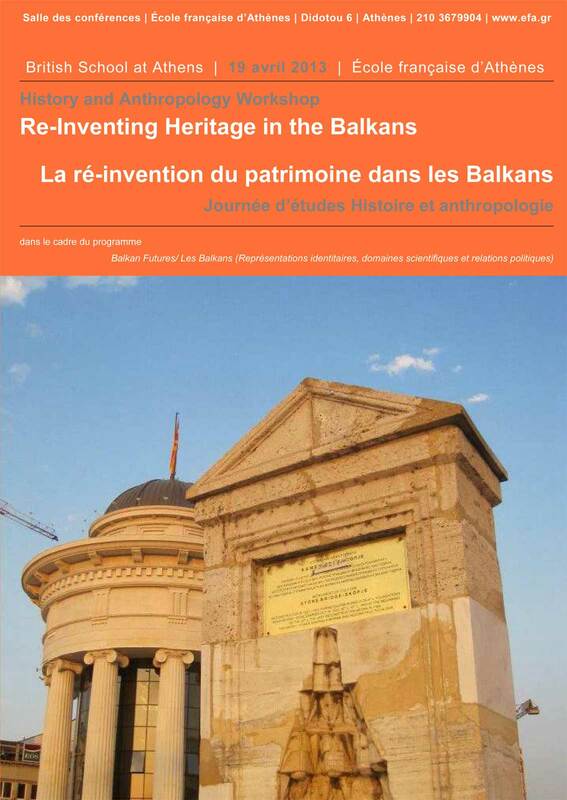 Re-Inventing Heritage in the Balkans. This workshop focuses on various aspects of the interpretation and usage of cultural monuments and urban space which could be considered as forms of re-invention of heritage. Researchers from different scholarly fields have discussed extensively so-called “invented traditions” (after the collective volume published by Eric Hobsbawm and Terence Ranger in 1983). Yet, “heritage” is never imagined from scratch: there are always material traces of a past that is often foreign and even undesirable for modern national ideologies. These traces constitute a particular problem which is dealt with in specific ways, from destruction to positive re-interpretation, manipulation and patrimonialization. Thus in the Balkans, as elsewhere, cultural monuments, architecture and urban setting that were created in the context of a multiethnic and multireligious co-habitation in the past are now being imagined and re-invented as valuable traces of a purely “national” history. Coming from different disciplines (history, anthropology, urban geography, art history, tourism research), participants in the workshop will analyse a variety of such cases. These include the reconstruction of cultural monuments following their destruction, the patrimonialization of buildings from a common multiethnic past as a result of their re-conception as pieces of typical national architecture, the creation of new monuments (or even new city centres) representing national identity and historical continuity, and the role of tourism in the promotion of this identity.